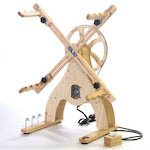 A skein winder, or skeiner, is used to wind yarn into a skein, or hank, from some other source such as a cone, a ball or cake, or even from an existing skein. 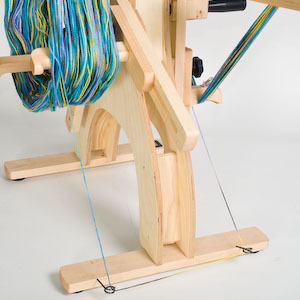 A swift is used to hold an existing skein of yarn while the yarn is wound to something else, using a ball winder, cone winder, or skein winder. 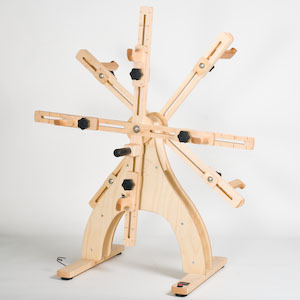 Our innovative reskeiner combines both of these essential tools into one convenient package. 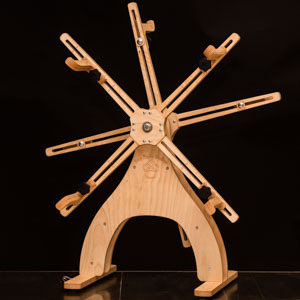 On one side is a heavy duty, adjustable vertical swift. 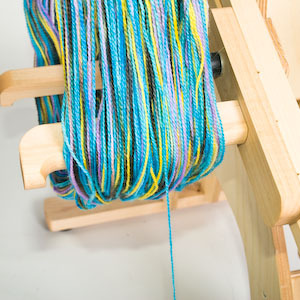 On the other side is our hand cranked adjustable skein winder. 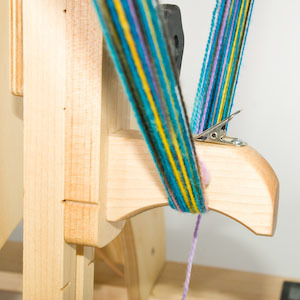 The reskeiner can be used to split a heavy skein into two or more lighter skeins, to reskein a large circumference skein into a smaller circumference skein. 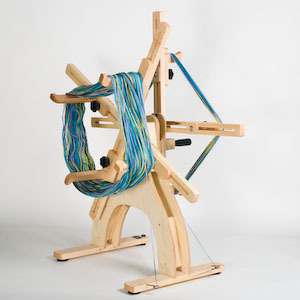 The swift can be used independently when winding yarn into a ball, or the skein winder can be used when winding a skein from a cone. 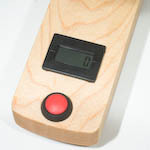 The optional integrated digital revolution counter counts the revolutions of the skein winder. We offer these reskeiners in 1½, 2, or 3 yard circumferences, with or without a built in electronic digital revolution counter. 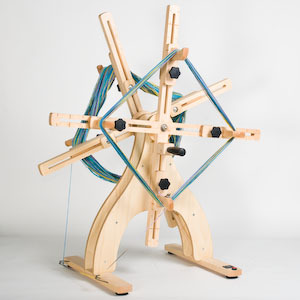 Order the winder to best suit your yarn winding needs.